The always interesting, ever enigmatic Denis Dyack has been named as a speaker for the upcoming 2009 DIG London conference. This will mark the second time that Dyack has appeared at the annual conference. 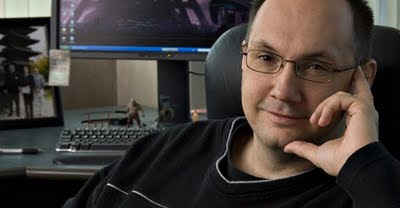 * Eric Randall, President of Next Level Games Inc.
With plenty of big name developers in the London region already on the speaker list, the 2009 DIG London is quickly shaping up to be an exciting, informative event. For information on registering, here's a link to the pass options available.